BEN WELBORN & TIFFANY SPENCER: Swim. Surf. Snorkel. Repeat. This is the real deal: an oceanfront home and a licensed vacation rental—at an unheard of price. 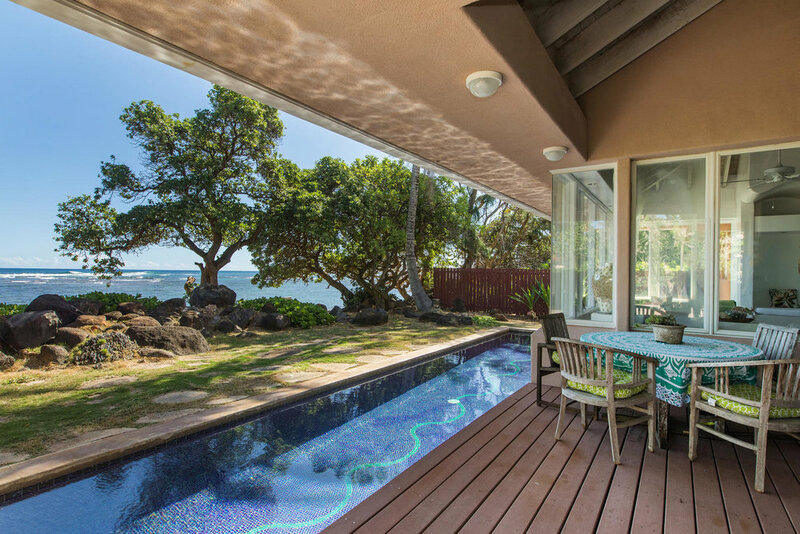 There’s a lap pool off the wide covered lanai, a small, protected lagoon with a sandy swimming hole out front, and ocean views from nearly every room. 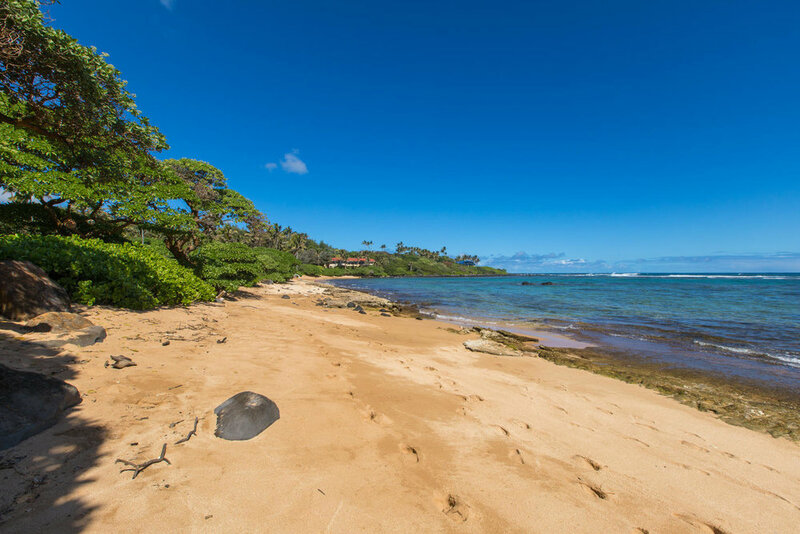 Bask in the glorious sunshine, explore tide pools, stroll on the beach, nap under a kamani tree… while an established vacation rental generates income in your backyard.